Fourth of July! Parades, floats, food and family are always fun. We love celebrating our independence in the 4th of July parade in Bella Vista. We have handed out water and balloons. Our entire church participates at some level, either by serving or walking in the parade. We have been represented by singing the National Anthem. We have meet new people and connected with old friends. 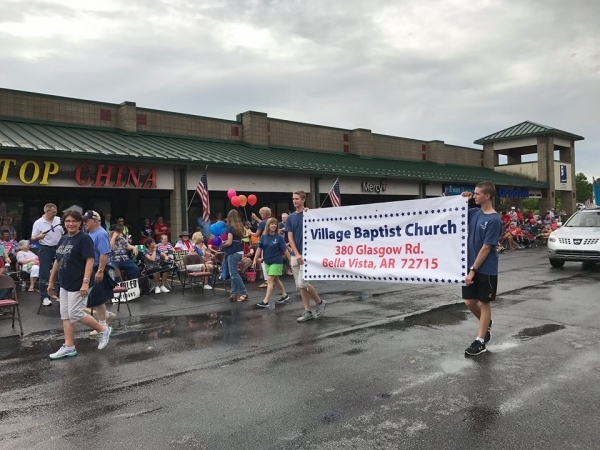 We represent God at this event by wearing our Village Baptist Church t-shirts and enjoying the most important independence, the freedom we have in Jesus Christ. Join us this year, July 4th, in Sugar Creek Shopping Center where Allen’s Food Market and Sonic are located. We will hand out water, candy and hand fans with our church logo and information on them. It will be a practical help in the heat and a cool promotion. Can’t wait to celebrate the 4th again with you this year. Bible Study and Prayer: 7:00 p.m. Enter your name and email to receive Village Baptist Church news and updates. 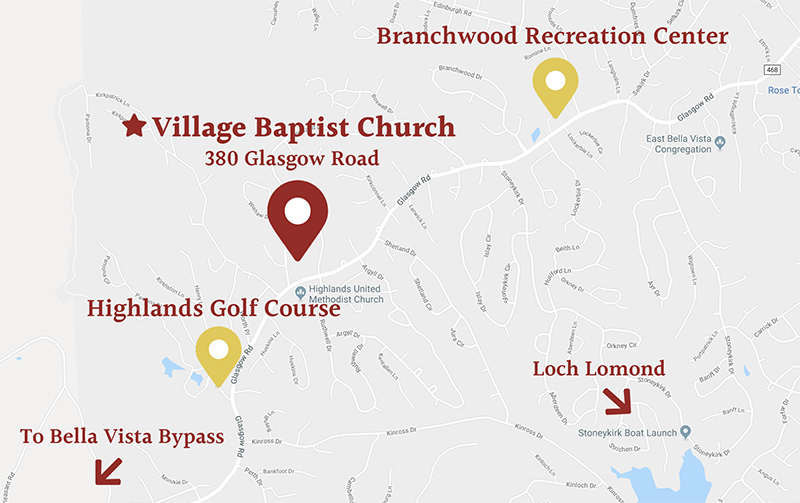 Village Baptist Church is located in the Bella Vista Highlands, between Highlands Golf Course and Branchwood Recreation Center.